Encompassing three cities and four townships, the Region of Waterloo has a vast amount of information to convey and diverse audiences to reach. Waterloo Region also occupies a significant spotlight in the high tech sector, with expanding infrastructure and high profile corporations moving into the area. Because of its size and visibility, the Region needed its public website to do some serious heavy lifting. The website redesign started with collaborative focus groups, leading Waterloo Region towards a citizen-centric sitemap that allows website visitors to find accessible, responsive content easily on any device. The content structure now clearly defines the vast range of critical services maintained by the Region. Essential information regarding housing, emergency services, food inspection and social services, to name a few, are now categorized logically. Landing pages that had previously been separate, including Public Health and Community Services, were also integrated with the new site. Next, we integrated a form building tool into the website, making it easier for people to get involved through AODA-compliant, responsive forms. Several internal structural enhancements were made for staff operating within the intranet daily. Internal documents are clearly organized and frequently accessed, and audit trails are easily identifiable. By refreshing the Region of Waterloo website, we've effectively purged outdated information, making each page clear, accessible and easy to understand. The website project was a complete team effort of the Region's Website Advisory Group, with 20-plus members from each program area working together to produce accurate, plain language and integrated information. This included the integration of content from two completely separate websites (Public Health and Community Services). Content is now easy to navigate, with direct landing pages to microsites of the regional transit system (Grand River Transit) the Region of Waterloo International Airport, Waterloo Region Museum, and the Region of Waterloo Library. Residents and all stakeholders can now access the information they need at their fingertips anytime, on any device. 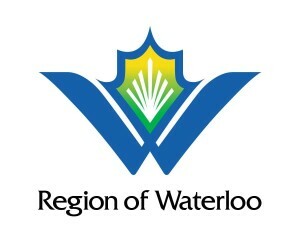 The Region of Waterloo partnered with eSolutionsGroup to create the new regionofwaterloo.ca.